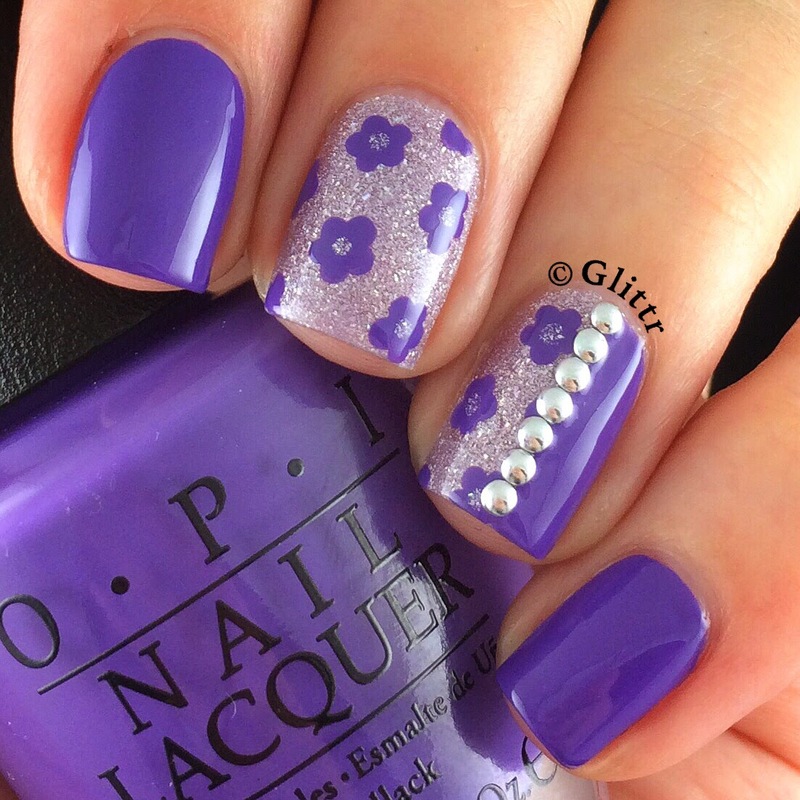 just a quick post about this very purple mani for you, for some reason I have been reaching for purple polish quite a lot lately, even more than for pink! My only pick after browsing swatches and YouTube reviews on the OPI Hawaii Collection was Lost My Bikini In Molokini. The other ones didn’t really appeal to me, either I didn’t really love the colors or they looked like something I already have in my collection. But I’m always up for a good purple and after discovering my love for Do You Have That Color In Stock-Holm from the OPI Nordic Collection, I had to get my hands on this one 😉 It’s as gorgeous as I imagined it, perfection in 2 coats. 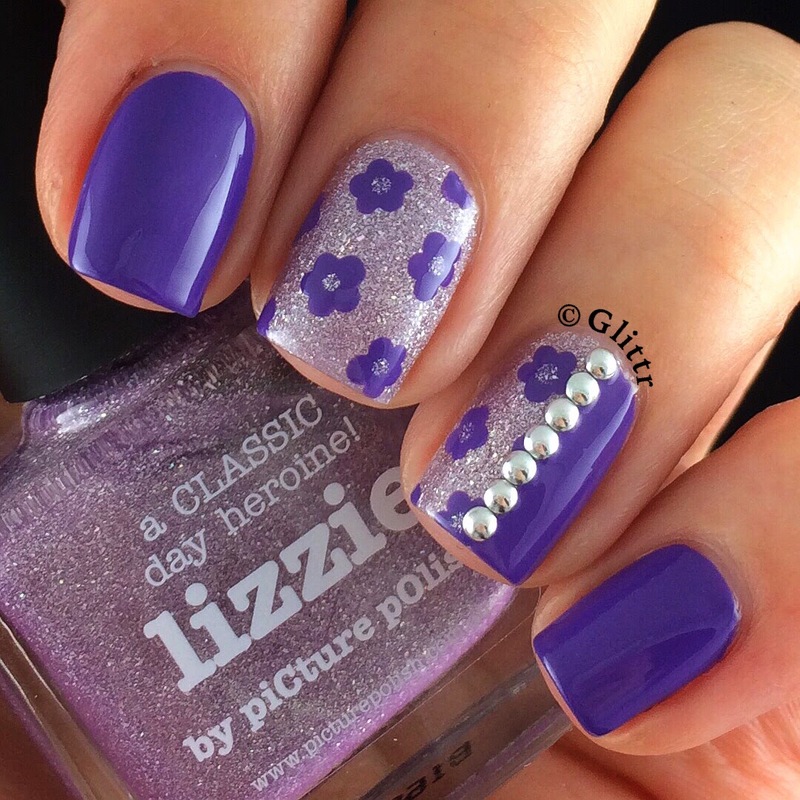 So I paired it with PicturePolish Lizzie and painted some accent flowers, adding some studs in the making.